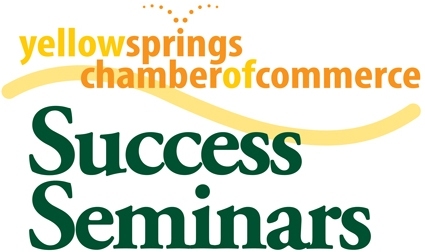 The next Chamber meeting will provide great information for anyone wanting to learn about how to finance their business. Greene County's Sensible Shelter, Inc. will present their Individual Development Account Program for business capitalization in the form of a match program. A personal savings account of $2000, saved over a minimum of six months, can be combined with $4000 from Sensible Shelter for a total of $6000 for business expenses. Program participants also attend free basic financial literacy classes along with free business education through the Small Business Development Center at Wright State University that includes one-on-one business counseling and group classes on how to start a business, how to build a business plan, and more! Also participating in the seminar will be County Corp, a private non-profit Development Corporation in Southwest Ohio. Representatives will discuss their small business loans from several government programs. This funding can be used to purchase real estate for business expansion; for facility construction, expansion or renovation; to purchase machinery or equipment and for working capital. We believe this is a very important and timely topic and encourage our members to attend and bring a guest. Please click here to let us know you will be attending.